PLEASE DO NOT RELY ON CALENDAR FOR AVAILABILITY! THIS IS A TIMESHARE RESORT. Diamond's owner calendar does not sync with VRBO. What is available can change several times a day. All of our units are managed and maintained by the resort. Upon arrival, guests will check-in at the resort’s front desk using their resort confirmation # just as if they had booked directly through the resort. Full access to the resort’s services and amenities are included with every reservation. I offer rentals from a min. of 5 days up to a max. of 2 months and can reserve a year in advance at the Ka'anapali Beach Club. (Please note that for most dates I only have WEEKS 7 NIGHT STAYS). KBC is a ocean front resort featuring 1 bed room villa suites. 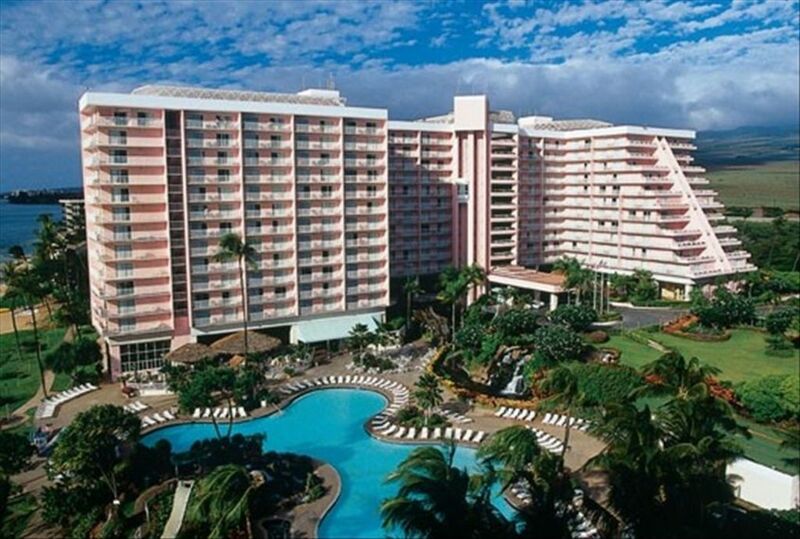 The resort sits directly on world famous Ka'anapali Beach. BBQ grills and picnic tables are located on site. Offering you the best of both worlds: the comfort and service of a fine hotel combined with the independence and easy living of a condo. In every suite the living room has a full-sized sofa bed and an entertainment center with 35' color TV, VCR, and AM/FM radio. The luxury bath includes an over sized soaking tub, separate shower, and his and hers vanities. And the kitchenette is designed for convenience and function with a microwave, sink, dishwasher and refrigerator. Additional suite amenities include two telephones in every suite, and voice messaging. The resort features beautiful tropical gardens, and relaxing waterfalls. And the one-acre pool with water slide is something your whole family is sure to enjoy. The living area has a full sized sofa bed, and entertainment center with TV,DVD player, and radio. There is a dining table with chairs. The kitchenette features a snack bar, has a full size refrigerator, microwave,dishwasher, sink, and all dishes and utensils. The large luxury bath features a over sized tub, separate shower, private commode, 2 separate vanities with sinks, and a closet. The bedroom features a king size bed, desk area, and TV. There are several restaurants on site. A shopping center is located 1 block away with grocery store, more restaurants, video store, and more. A bus stop, located at the corner of the resort, will take you anywhere around the island. My family and I made our first visit to Hawaii from December 1999 into January of 2000. Fell in love with the Hawaiian Islands. Since than we have been coming back as many times a year time will allow. Someday I will spend half of my time here. Hawaii is like a far away exotic location and your computer and cell phone still work. Great stay. Beautiful weather, sad beach. This resort is the best. It's so pretty with fantastic views of the ocean. Our unit had a great view and all the amenities needed. Just the right size. Because of flight problems, we needed to stay two additional days and the owner (Kevin) bent over backwards to help us out. The resort is undergoing a renovation of the units and there was more noise than we expected but that's typical of building renovations. We had a great stay and the owners were awesome to work with. Great Stay For A Great Value! The Kaanapali Beach Club was a great place to stay for our 5 night vacation. The room was great (we are a young couple) and the view of the ocean was a nice addition. The customer service was also wonderful, as everyone was very helpful and friendly. The one downside was that we could hear our upstairs neighbors walking around occasionally. Overall, the room was great and we enjoyed the property and location. We love coming back to this place every year. We have stayed at KBC many times over the last 10 years. It is always nice, clean, and the staff are always extremely helpful and friendly. We were very happy to find a good deal through Deb and Kevin. This resort is great for kids. Which is one of the reasons we stay here. The huge pool and kids center as usual were their highlights. The rooms are quite nice but are being renovated this fall. The beach restoration project is underway so we still had to access the beach at the North end of the property which is perfectly fine. We as always took advantage of the happy hour specials and the convenience of Maui pizza and the breakfast buffet on site. Rate listed is for ocean view. Rates for scenic view & deluxe ocean view will be quoted at a lower & higher rate tax of $11 per night paid at check in.